Gulf Shores is the perfect place to plan a winter holiday getaway with the family. Grandparents, parents and kids will all look back on your time here with fond memories. 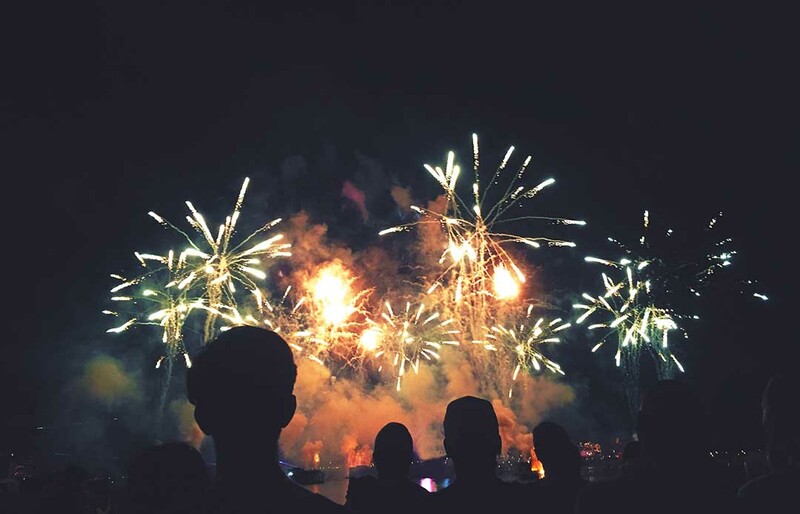 Whether you're looking for the best firework show around, or the kids want to meet Santa, there are no shortage of holiday events to attend. To help you plan your trip, we've picked out our top 6 winter holiday events in and around Gulf Shores, Alabama. Weekends from Thanksgiving to Christmas Eve you can have your photo taken with Santa at the Wharf, Fridays 3-7 pm, Saturdays 10-7 and Sundays 12-6. The Wharf also has a Build-A-Bear Workshop that could prove the perfect spot to create a gift together. 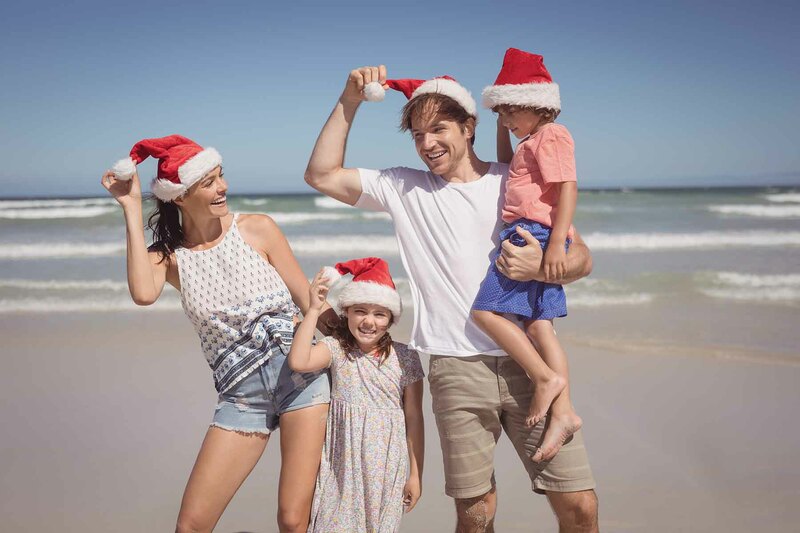 You'll also find Christmas decor at the main public beach if you would like a festive backdrop to do your own photos, and of course you cannot forget the traditional holiday photo of everyone in Santa hats on the beach. 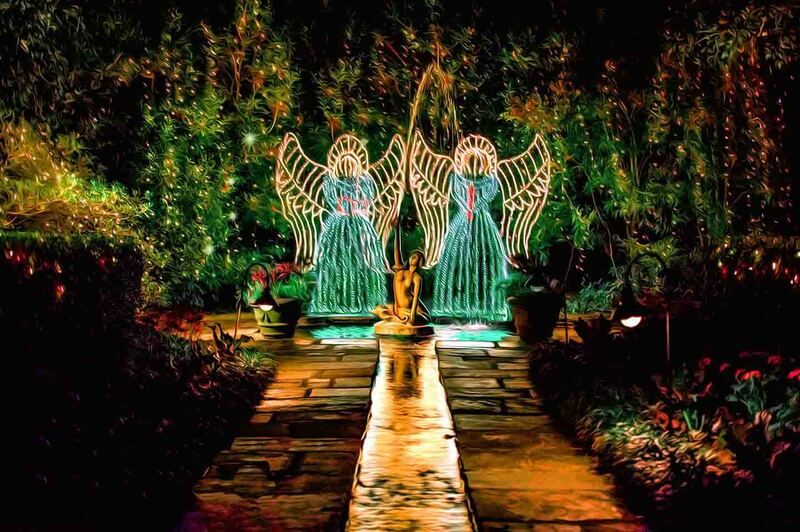 A Gulf Coast holiday tradition featuring more than 3 million lights, 1,100 set pieces and 15 scenes in a 65 acre garden estate. The Bellingrath Home is also decorated for the season. Nightly from 5-9 from November 23-December 31 (closed Christmas Day). Sunday through Thursday there is also a nightly choral performance on the South Terrace of the home. 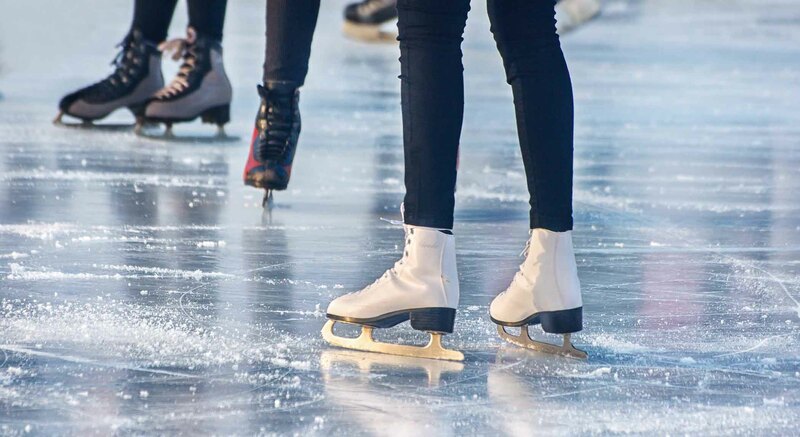 Thanksgiving through New Years we have a skating rink at The Wharf. Skate for $10 or skate & ride the ferris wheel for $13. You'll also find a movie theatre, a spa, boutique shopping and lots of restaurants including some of our favorites, Ginny Lane and Villagio. We also love Red or White for a glass of wine and some yummy munchies. 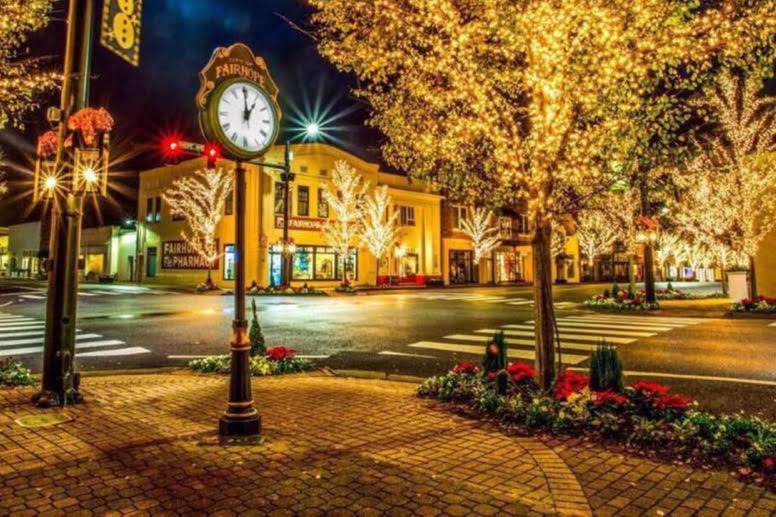 Visit nearby Fairhope for a day of shopping and dining. Write a letter to Santa at the Fairhope Welcome Center (they even provide Fairhope stationery) and he will even write back if you include your return address. Don't miss Page & Palette, one of the best independent bookstores in the country and a great source for the gift of a signed book by your loved one's favorite author. Enjoy cute shops and galleries and the beautiful flowers and lighted trees lining the streets, walk down to the city pier. Try Fairhope Monday-Saturday (most things are closed Sunday and many shops close at 5), and check out the Fairhope website for a directory of shops, restaurants and events. LuLu's offers a daytime celebration for the entire family with a countdown to noon. 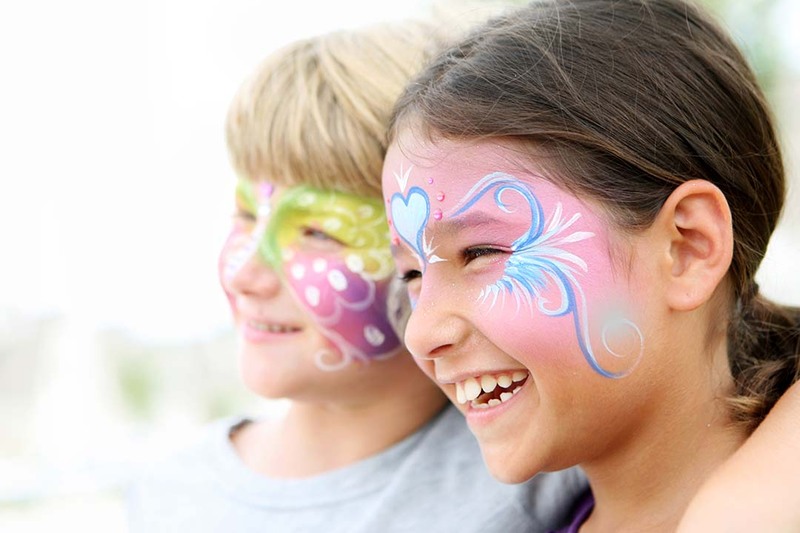 Full of kid-friendly activities including sandcastle building, arts & crafts, live music, zoo animals, face painting and more. It will be very busy, but so fun, so go over early. Lucy Buffett knows how to entertain so you'll find live music every day and lots of things to entertain the kids while you relax, eat, drink and be merry. Street Party at The Wharf is free to the public. Live music, children's activities, all of the restaurants will be open (we recommend reservations for those), and of course, fireworks! You'll also find New Year's celebrations for the grown-ups at The Flora-Bama and many restaurants will have special dinners and events. For any of these you'll want to explore tickets or reservations but you can also wander to the Wharf festivities without the need to plan ahead or go to any expense. Or you can ring in the New Year as we like to, relaxing at your favorite beach house with family or friends and just enjoying their company!